Last time on 3ptechies’ student resources, we learnt about the Best Apps for College Students as well as introduced some top apps for solving Maths, algebra, and scientific equations. But today’s topic is a bit different; it’s about the best online resources for students. If you are a student, then you know how vital the internet is when trying to learn and educate yourself. It’s a haven of useful information, dates, facts, first-hand experience and many, many other things as well. But it can be a tricky place to navigate, and as a student, you want to make sure you are getting the best help you possibly can. Well, we are here to help you out, as we countdown 10 of the most useful online resources! If you are a student, you’ve heard of this one. You probably know about this one if you are not a student as well. 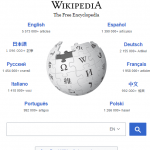 Wikipedia offers one of the best online resources for teachers and students alike. It is a massive information hub, that lists the details and contextual information of thousands upon thousands of different events, people and phenomena. It’s a free online encyclopaedia that has an amazing amount of information you can sometimes lose yourself in. But it remains low down on this list, because if you are a student, you need to be looking at websites that give more depth than this. Wikipedia is good to quickly understand something, but you if you need to get a firm understanding of something, you need to look somewhere else. Many people don’t know about Google Scholar, but it is a great asset for any student. It compiles a massive amount of journals for anyone that wants to peruse through them. If you type in the subject you are looking at, you are bound to find something that details a certain aspect of that subject, or at least mentions it. The great thing about this site is it’s easily cited! Which is great for students! 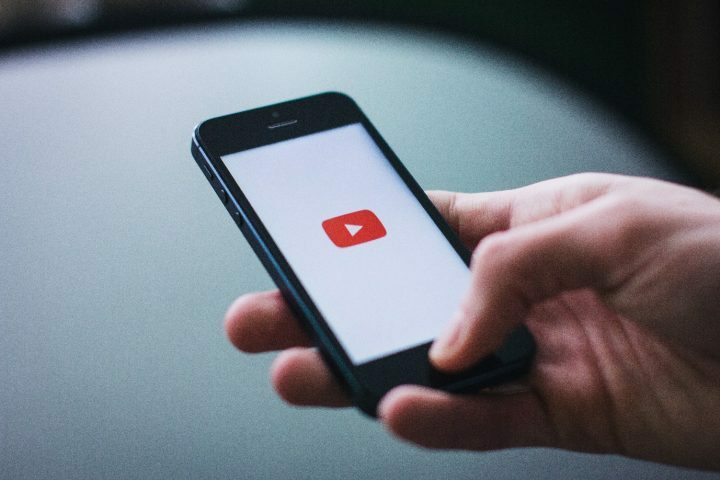 It may seem like just a place to watch funny cat videos and your favourite pop stars new music video, but believe it or not, YouTube is a great asset to students. It can provide you with footage of interesting and engaging interviews about everything, from politics to sport. It can offer you interesting talks and debates by known scholars and thinkers. And can even provide you with quite a wealth of documentary material too! Lots of tutorials with in-depth details has been published on YouTube. They can come in handy for college students, during practical learning, and all. PaperOwls is a bit of a different resource than then ones we have spoken about so far. It is different because it actually provides dissertation writing services. What does this mean? It means that it’s a site where you can buy an essay, by speaking to an expert writer and having them help you through your essay! It is an online resource that’s created for students and career professionals alike. While those in professional field, post-graduates and academicians can use the tool for in-depth custom research papers, in-school scholars can use same for basic essay writing project/services. Khan Academy is an indispensable tool for any student that is studying maths and computing. They offer an amazing array of courses that are extremely high quality. They also offer some Arts and Humanities courses too. They are well-respected and revered by teachers and tutors. Paperial is another amazing site where you can buy cheap essay material, quickly and easily. How do you do it? You go onto the site and let them know what exactly you need help with, what course you are studying, when the due date of the essay or homework is, and what type of help you need. They will then get to work assigning you a writer that matches up to the information you supplied to them. You and your writer will converse about your essay and its subject matter, and your writer will provide you with as much or as little help as is needed. After both parties are happy with the document, you pay a fee and get to walk away with a top class essay! JSTOR is another really useful journal site. Originally starting as a database for medical journals, it has branched out into almost every other subject, and now offers users a massive array of different sources of information. JSTOR is really easy to cite from and you can even get a membership if you want to look even more in-depth at material. The site is easy to navigate and really promotes the students diligent search for useful information. Another hidden gem over at Google. They have thousands upon thousands of books all scanned in and saved. This means that you can search through a massive selection of books, both fiction and non-fiction. Though it’s a massive task to get every book completely online, they now offer a huge amount of titles, completely scanned in. This is amazing for students who don’t have the most immediate means of getting good research done. This is another site that offers users a chance to take educational courses online. That may sound pretty bland and similar to other places on this list, but the difference is – with coursera, the online courses are actually designed by leading Universities. With programmes on their run by the University of Illinois, John Hopkins University and the University of San Diego, you are sure to get a lot of good work done here. And you can come out of the other side of it, with a certificate affirmed by a major University! Many professionals from tech, engineering, marketing and ICT field uses coursera to; upgrade their knowledge on less known courses, improve their CV as well as refresh their minds on well-known courses. EdX is an amazing resource. They take their mission to provide global, high-quality education extremely seriously. And with courses on there run by Harvard, Berkeley, and the Hong Kong Polytechnic University, you know they aren’t kidding around. They provide a wide-spread of courses in pretty much every subject, from Humanities to Language, and from Economics to Engineering. These courses are run by very skilled professionals; this way you can be assured of their credibility. Having taken out time to list the best online resources for students, we’ll like to state that “these resources are indispensable tools in a hardworking students’ arsenal”. Some provide you with extracurricular courses, through which you can gain a more insightful knowledge. 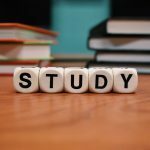 Some provide help and assistance with essays so you can rest easy knowing you’re getting help from a professional, and some provide you with an expansive catalogue, where you can pick and choose information that is relevant to your studies and integrate quotes from top scholars and thinkers into your essay. Did we miss any of your favorite online learning tool? Please do add via comments to improve on this list of online resources for students. Good and interestingly amazing scholastic content to read.I got the useful tips on getting valuable resources for my Academic works.Thanks you so much for sharing such an amazing tips. I look forward to reading similar updates from you.